Depending on your perspective, the Nikon D5 either improves upon its predecessor in every meaningful way or it offers something of a mixed bag with regards to image quality. While there is a notable decrease in low ISO dynamic range -- much to the disappointment of landscape photographers -- the D5 is excellent for what it's designed to do, be a fast, capable camera in difficult lighting conditions. The hefty, pro-style camera body is large and comfortable. Amazingly, the viewfinder is even better than it was on the D4s, and the large 3.2-inch display is finally a touchscreen. The camera is fast, too, and its 153-point autofocus system is superb. 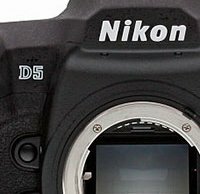 We have just completed our Nikon D5 review and despite not being perfect -- no camera ever is -- the D5 is an excellent full-frame DSLR that offers the features and performance that professionals expect. The resolution increase to 20.8 megapixels hasn't hurt its high ISO capabilities either, as the D5 was the first camera we've tested to deliver a good 8 x 10 print at ISO 51,200. 400mm (Nikon 400mm f/2.8G IF-ED AF-S VR), f/2.8, 1/8000s, ISO 8000. This image has been modified. There aren't many complaints to be directed at the D5, although its new 4K UHD recording capabilities could stand to be improved a bit and a quieter shutter would be welcome. And as I already noted, if you need ultimate resolving capabilities or excellent dynamic range at base ISO, the D5 probably isn't for you. For those needing to confidently rely on their camera to capture sharp images in the widest range of conditions, then the D5 is one of the best cameras available. One thing is certain, DSLRs simply don't come much better than the D5. Read our full Nikon D5 review here. If you've read our Field Tests (Part I and Part II), Image Quality Comparison and Print Quality Analysis, then you can skip ahead to our final verdict. 20mm (Nikon 20mm f/1.8G ED AF-S), f/11, 8s, ISO 100, -0.67 EV.